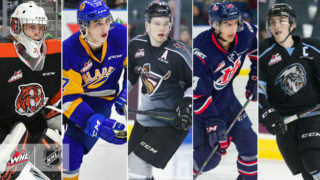 Five of the Giants nine draftees from the 2017 WHL Bantam Draft class competed last week in the (U-16) 2017 WHL Cup Tournament held in Calgary, AB. 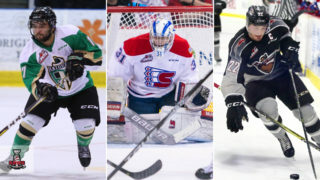 Four players (Justin Sourdif, Tanner Brown, Cole Shepard and John Little) represented Team B.C. while one (Krz Plummer) suited up for Team Alberta. The tournament featured four teams: B.C., Alberta, Saskatchewan and Manitoba. Yesterday in Calgary, Team B.C. earned a 4-3 overtime victory over Team Alberta to clinch the gold medal. Fittingly the final game of the tournament featured all five Giants prospects. 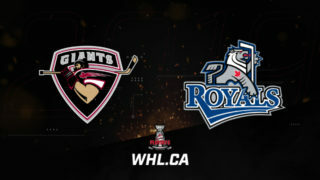 Forward Justin Sourdif (selected third overall by the Giants in Round 1) grabbed B.C.’s first goal of the game in the late stages of the second period to help B.C. claw back from a 2-0 deficit. Sourdif finished the tournament with four goals and an assist and was named a WHL Cup All-Star. F – Justin Sourdif (Surrey, B.C. – Round 1, Pick 3) – Scored four goals and added one assist for Team B.C. Was named a Tournament All-Star. He was a +1 with four penalty minutes through five tournament games. 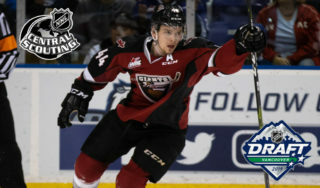 D – Tanner Brown (Kelowna, B.C. 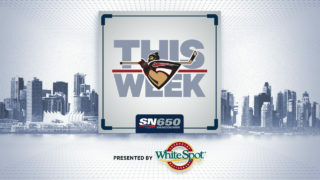 – Round 2, Pick 24) – Scored once goal and added an assist through five games for Team B.C. while finishing a -1 with six penalty minutes. F – Cole Shepard (West Vancouver, B.C. – Round 2, Pick 33) – Scored once and added two assists for three points in five games while finishing with an even plus-minus and two penalty minutes. F – Krz Plummer (Whitecourt, AB – Round 3, Pick 46) – Finished with one assist in five games for Team Alberta while finishing with eight penalty minutes and a -2 rating. F – John Little (Parksville, B.C. – Round 3, Pick 60) – Registered one goal in the tournament while finishing with an even plus-minus rating and two penalty minutes. 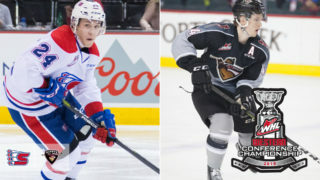 Of the five Giants who participated in the 2017 WHL Cup, three have signed Standard WHL Player Agreements with the team: Justin Sourdif, Tanner Brown and Krz Plummer.